The 2018/19 Champions League group stage kicks off in less than a week. As part of our coverage, we preview the groups that involve one or more teams of the Futbolgrad Network universe. 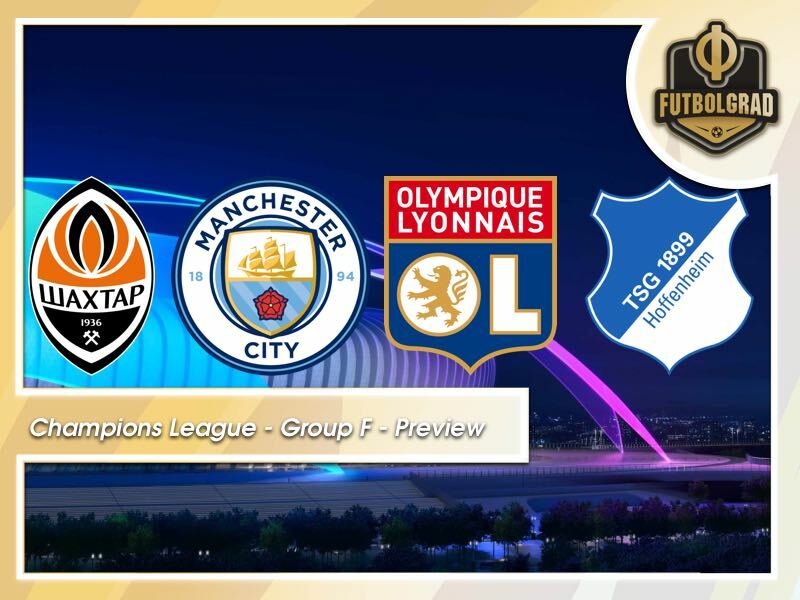 Among the groups we preview is Group F, which includes Hoffenheim, Manchester City, Olympique Lyon and Shakhtar Donetsk. Shakhtar Donetsk are looking back to another successful year under head coach Paulo Fonseca. Domestically, Shakhtar won the Ukrainian Premier League ahead of eternal rivals Dynamo Kyiv, who they also beat in the final of the Ukrainian Cup. In the Champions League Shakhtar were fantastic the Champions League Group F where they finished second behind Manchester City and ahead of Napoli and Feyenoord. They then came close to eliminate Roma in the round of 16, and only an excellent Alisson kept Shakhtar from advancing to the later stages of the competition. Given that the club have to play all their games in exile due to the ongoing conflict in the Donbass it was a significant success for the club to advance out of the group stages at all. Hence, after achieving qualification for the knockouts, Fonseca appeared dressed in a Zorro outfit much to the astonishment of the international press. The Portuguese head coach had promised that he would wear a Zorro outfit should Shakhtar get through the group stage and the head coach remained true to his word. Speaking of Fonseca. The head coach was linked with a move to Everton over the summer. In a summer in which Shakhtar invested significant money in new players for the first time since the start of the war in the Donbass, the biggest transfer was Fonseca’s contract renewal. The 45-year-old has evolutionised the way Shakhtar play since taking over from legendary head coach Mircea Lucescu in 2016. Fast direct and well-organised Fonseca’s football is pleasing on the eye, and it is, therefore, no surprise that some major European clubs have tried to coax the 45-year-old away from Ukraine. Bernard and Fred are gone, but Brazilians remain the key players for this Shakhtar Donetsk side. 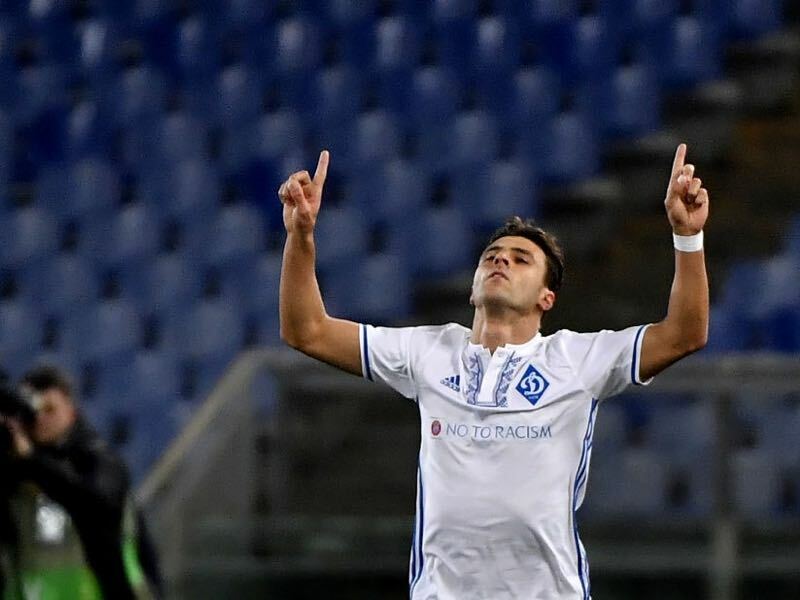 Up-front Shakhtar have managed to sign Brazilian forward Junior Moraes from their rivals Dynamo Kyiv in what was one of the most controversial transfers in Ukraine this summer. Meanwhile, Brazilian national team player Taison and Brazilian-born Ukrainian national team player Marlos are the speed demons on either wing. New signing Maycon, in the meantime, is expected to patrol the midfield together with Taras Stepanenko. Also look out for defender Yaroslav Rakitskiy, who is perhaps one of the most underrated defenders in the European game in general. Group F will be tricky for Shakhtar, but the Ukrainians showed last season that they could surprise in the Champions League. Overall, anything above third in this group would be a success. It was a tale of two halves for Hoffenheim last season. Die Kraichgauer were eliminated by Liverpool in the Champions League qualification playoff and then took half a season to recover from the disappointment. In the Europa League Hoffenheim were eliminated during the group stage besides a relatively easy group. Meanwhile, discussions about head coach Julian Nagelsmann’s future and poor results on the pitch meant a disenchantment of the talented coach. Nagelsmann, however, turned things around and after playing a magnificent second half of the season, Hoffenheim finished third and qualified for the Champions League group stage. Despite the success, last season Nagelsmann will leave the club at the end of the upcoming season. After being linked with Bayern and Dortmund Nagelsmann surprised observers when he announced that he would be joining Leipzig next summer. Until then Nagelsmann will remain in Hoffenheim. His decision to exercise his exit clause to leave Hoffenheim in the summer could have been held against him. But it speaks for his authority at the club that there was no discussion about Nagelsmann becoming a lame duck. Furthermore, Hoffenheim now have an entire season to find a replacement for Nagelsmann. 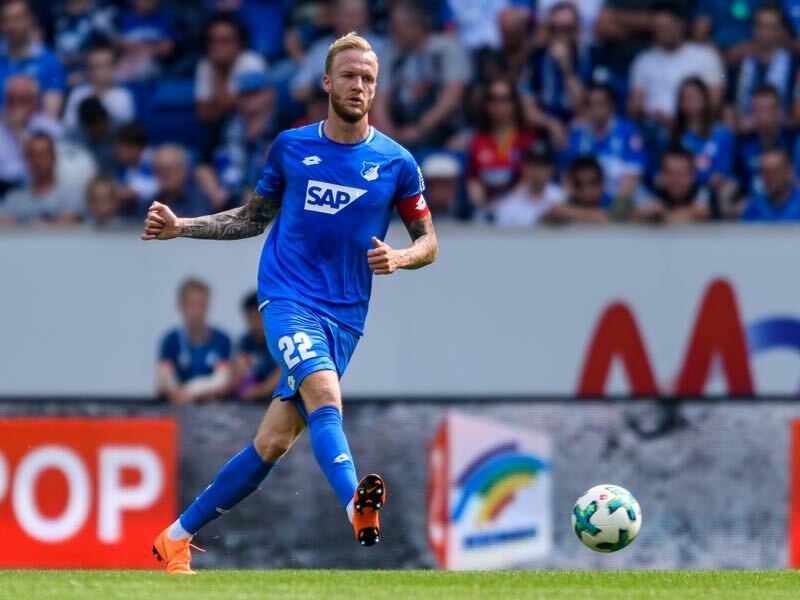 Keeper Oliver Baumann, defender Kevin Vogt, midfielders Nadiem Amiri, Kerem Demirbay and striker Andrej Kramarić are Hoffenheim’s key players. Unfortunately for Hoffenheim, Amiri, Demirbay and Kramarić will all miss the season opener with injuries. Hence, new signings Leonardo Bittencourt and returnee Joelinton will be pressed into playing a bigger role at the club. Injuries to key players could mean a slow start to the season. At the same time, Nagelsmann is a tactical genius with the experience of having to shuffle the deck. It will be interesting to see how Nagelsmann will fare in a group that includes experienced international sides and survival in Europe would be a success but do not be surprised if Hoffenheim upset the apple-cart in this group. Manchester City dominated English football last season. Pep Guardiola had his side play like robots making little to no mistakes in the Premier League winning the competition with 100 points, 19-points ahead of Manchester United, losing just two games over the course of the season. In the Champions League City also looked unbeatable until matchday 6 of the group stage where they were beaten 2-1 by Shakhtar Donetsk. They then also suffered a defeat in the second leg of the round of 16 against Basel – at a stage, however, when the tie was already wrapped up given City’s 4-0 away victory in Basel the previous week. What followed was a demolition by Liverpool. The Reds coached by Jürgen Klopp beat City 5-1 on aggregate. Pep Guardiola is a perfectionist. His football is based on possession and quick transition after winning the ball. When at its best his teams are unbeatable. But there are weaknesses in the way the Spaniard plays football. Both Shakhtar Donetsk and Liverpool exposed those weaknesses last season. Guardiola’s teams struggle when they face teams that play the ball quickly behind his high defensive line. Furthermore, teams with speed on either wing that are capable of playing attacking football with few touches seem to do well in general against City. Over the course of a league season it is seldom that those weaknesses lead to any damage but in knockout matches, Guardiola’s game plan can be exposed. Manchester City have without a doubt the deepest squad in Group F. Forward Sergio Agüero has finally adapted to Guardiola’s style and is a weapon up front. As are the wingers Raheem Sterling, Leroy Sané and Bernardo Silva. Kevin de Bruyne, in the meantime, is the heart and soul of this team. 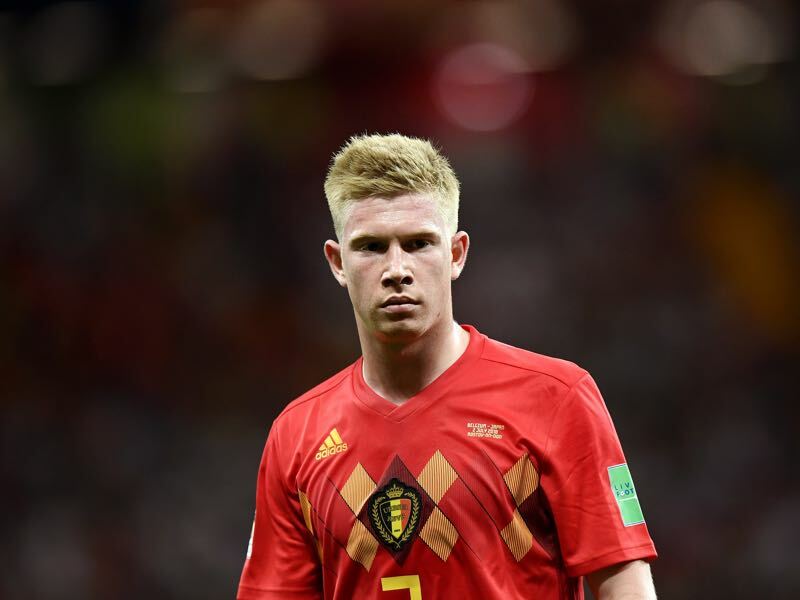 The Belgium midfielder has evolved from playing on the wing to playing as a more deep-lying playmaker in a central midfield role. Manchester City will dominate this group. Olympique Lyon are back in the UEFA Champions League after finishing third in Ligue 1 behind Paris Saint-Germain and Monaco. In Europe, OL reached the round of 32 of the Europa League where they were eliminated by CSKA Moscow. Nonetheless, it was a good season for Olympique Lyon as the club has now qualified for the Champions League for the second time in the last three years. Bruno Génésio has been in charge of Olympique Lyon since 2015. But in reality, the 52-year-old has worked at the club in one function or another for the better part of the last ten years before finally becoming the head coach. Furthermore, between 1985 and 1995 Génésio played 171 games for OL. Working together with Chairman Jean-Michel Aulas is not always easy but Génésio has brought stability to the club and formed a team full of young and exciting talent. 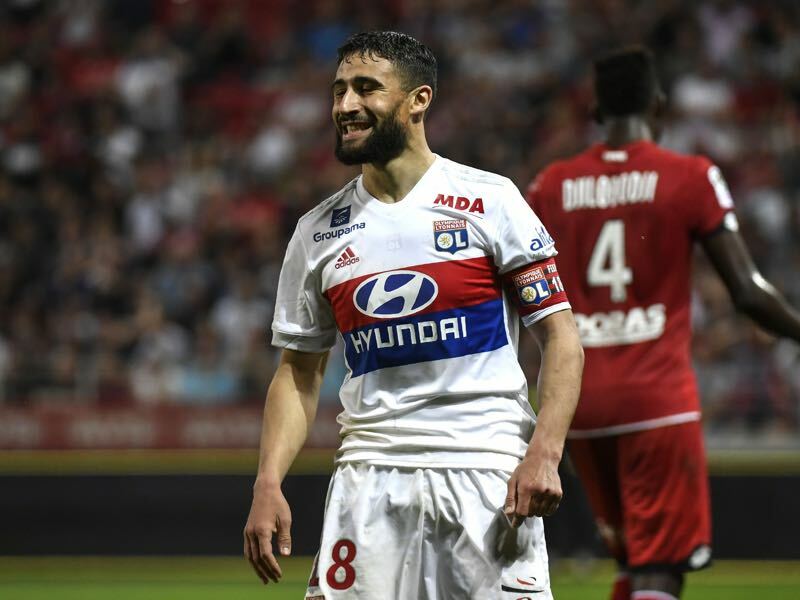 Nabil Fekir is almost like a new signing for Olympique Lyon. The attacking-winger won the 2018 FIFA World Cup with France in Russia this summer and was then expected to join Liverpool. That transfer, however, fell through and, as a result, Lyon were able to hang on to their best player. Fekir is supported by the talented Bertrand Traoré new signing Moussa Dembélé (Celtic) and Maxwel Cornet, who almost joined Wolfsburg this summer. Olympique Lyon, Shakhtar and Hoffenheim are all on a similar level and will compete with each other for the second spot in Group F.
Don’t Call it Soccer Podcast – Episode 8 – We are back!